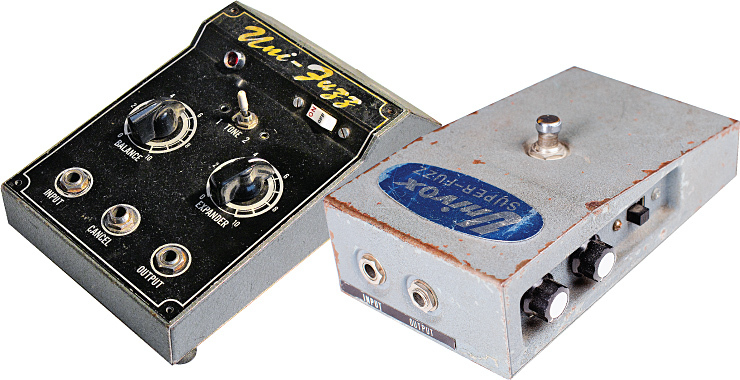 (LEFT) Univox’s U-250 Uni-Fuzz was an AC-powered version of the FY-2 and Super-Fuzz, designed to eliminate battery fade. (RIGHT) Univox’s U-1093 Super-Fuzz shared its housing and control layout with the original Shin-ei Companion FY-2 fuzz. Univox U-250 courtesy of Nate Westgor. Univox Super-Fuzz: Daron Wittmayer. 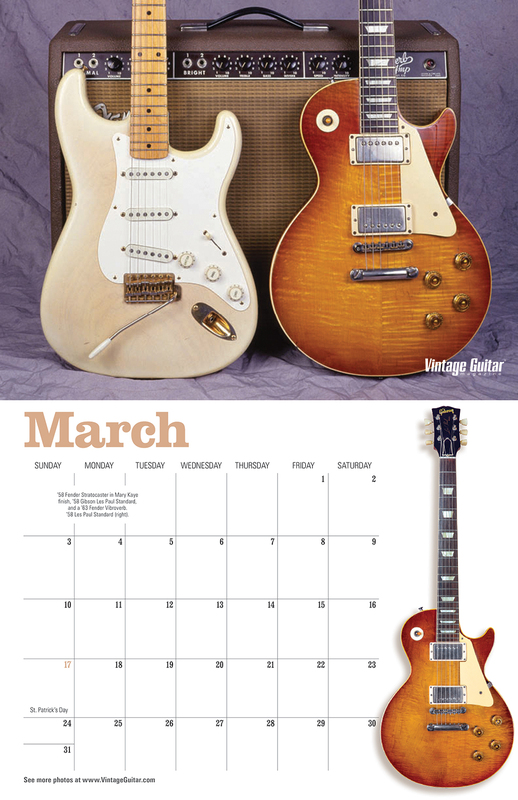 Pete Townshend sent many a guitar and amp to an early grave. But there’s no known evidence of him doing the same with effects pedals. Never mind that spearing a Rickenbacker through the heart of a Hiwatt provided much more Shakespearean drama than stomping on a lowly stompbox. Perhaps, though, he simply didn’t need to assassinate his effects; maybe they did their duty in providing the angry, aggressive sound he sought. Townshend’s fuzz of choice was a Univox Super-Fuzz, which he utilized to make those loud noises for a full decade, from 1968’s Rolling Stones Rock and Roll Circus through a ’78 session at Shepperton Studios. If you wonder what a Super-Fuzz sounds like in Townshend’s worthy hands, spin The Who’s Live At Leeds; a chainsaw at full throttle begins to approximate that distortion. 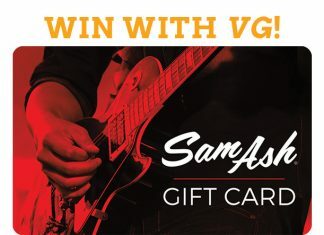 It’s no wonder he liked the pedal. Univox’s battery-powered Super-Fuzz and its AC-juiced Uni-Fuzz trace their existence to an early “super effect” – the Japanese-made Honey Psychedelic Machine. 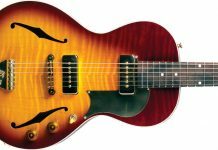 The Honey company was formed in ’67 by ex-Teisco workers after that firm was acquired by Kawai. Two years later, Honey went bankrupt in March ’69 and was reborn as Shin-ei. 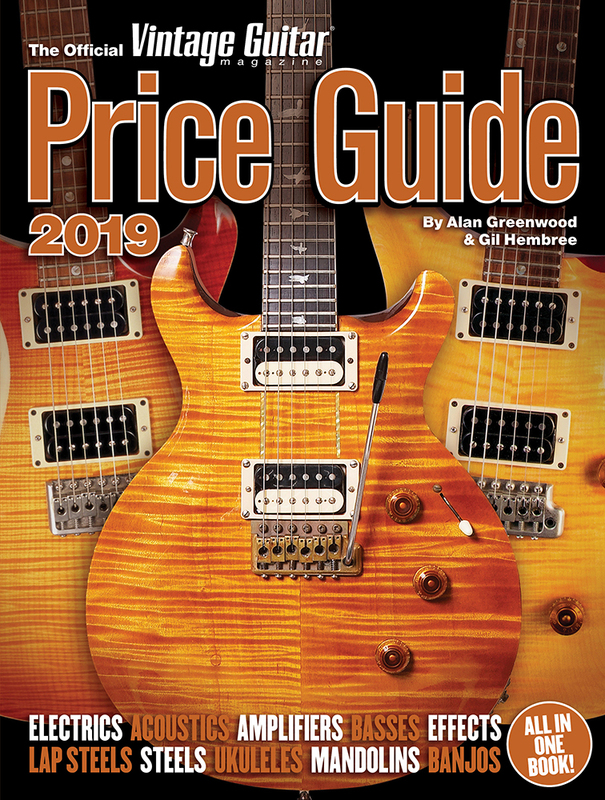 This later corporation would become famous as the OEM maker of many of the most far out guitar effects ever – including numerous effects made for other brands or marketed under names including Companion, Crown, Apollo, Jax, Shaftesbury, and more. Shin-ei’s master mad scientist was designer Fumio Mieda. Presumably, he looked at the Honey Psychedelic Machine and wondered if the company was giving away too much in one package. The effect was the size and weight of a full amp head and contained both fuzz and chorus/vibrato circuits – all controlled by a Mood Adjuster knob, presumably part of the psychedelia. Mieda extracted the fuzz circuit, packaged it in its own small stompbox, and in 1967 launched the Shin-ei Companion FY-2 fuzzbox. The Companion Honey Psychedelic Machine was the original “housing” for the circuit used in Shin-ei’s Companion FY-2 fuzzbox. Photo by Ash Sadler. 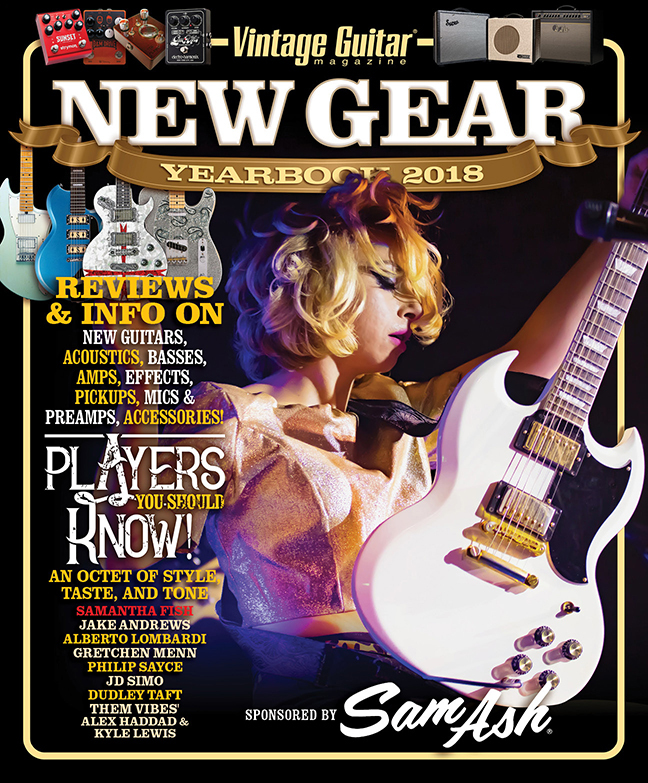 Shin-ei was not only a brilliant company when it came to creating guitar gear, it was also masterful at selling its wares – often numerous times over. So, at the same time, the American company Univox unveiled its Super-Fuzz, followed by the Uni-Fuzz. Both were sourced from Shin-ei. Univox boasted a similarly complex family tree. 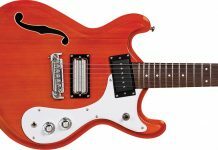 In the early ’60s, the Amplifier Corporation of America, of Westbury, New York, bought transformer maker Unicord Corporation, then soon launched the Univox amp line, followed by guitars and effects, badge-engineered by Shin-ei. By ’67, the whole show was swallowed up by Gulf+Western, then in the mid ’80s by Korg. Shin-ei’s FY-2 and later FY-6 were housed in bare-bones, triangular-shaped, stamped-metal box. The Super-Fuzz followed suit. The first were painted a dull gray with a blue Univox sticker on top. 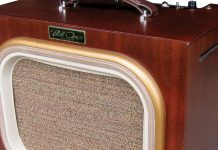 Circa 1970, they switched to a gray or black die-cast metal box with a rubber-covered pedal embossed with the name “Super-Fuzz.” A few years later, the boxes became orange with a green or blue pedal; they also included a trim pot inside for adjusting balance. Shin-ei’s circuitry resulted in a cool octave fuzz, square-clipping the sound wave, then rectifying it, creating upper and lower octaves. 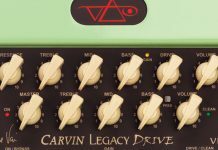 The effects were not bare-bones, however; the circuitry created a unique octave fuzz. 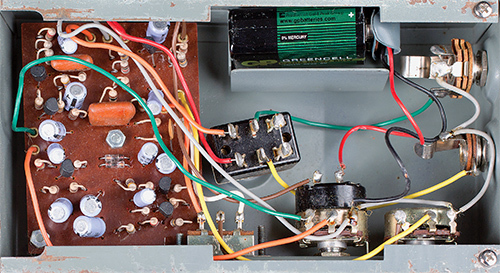 All models relied on two germanium diodes to square-clip the signal’s sound wave, but a full-wave rectification then created an upper and lower octave. At the same time, this compressed the signal. Each of the effects had an on/off button footswitch on top, plus two control knobs – Balance (volume) and Expander (fuzz). 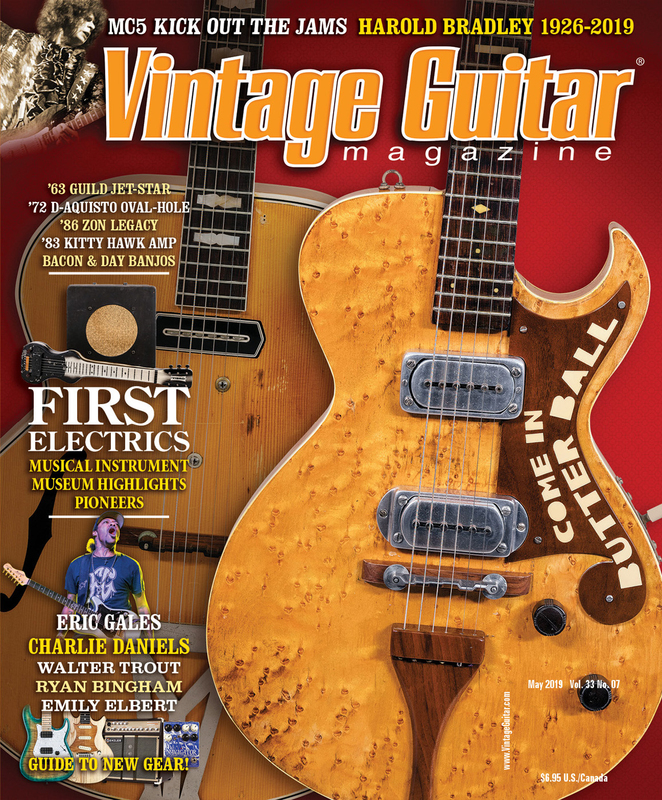 With the FY-2 and Super-Fuzz, these knobs were recessed – make that, hidden – on the side. For the Uni-Fuzz, the controls were re-arranged to be front and center for dramatically better access. 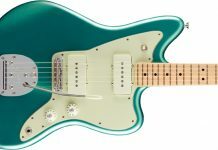 The effects also had a two-way Tone slide switch, which engaged a controlling filter to scoop mids, creating an intensely flavorful, full-fat fuzz. And for once, that salespeak just might have been right. Sadly, though, Univox didn’t last; the brand disappeared in the early ’80s. 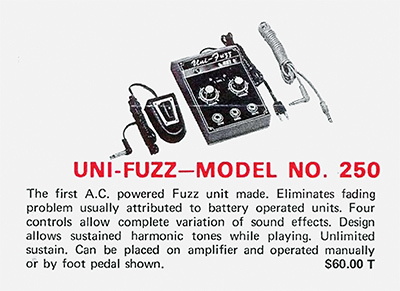 The U-250 Uni-Fuzz and both the U-1093 and subsequent U-1095 Super-Fuzzes survived only from their introduction in 1967-’68 and into the ’70s. Still, Shin-ei’s brilliant circuitry lived on. And on. And on. 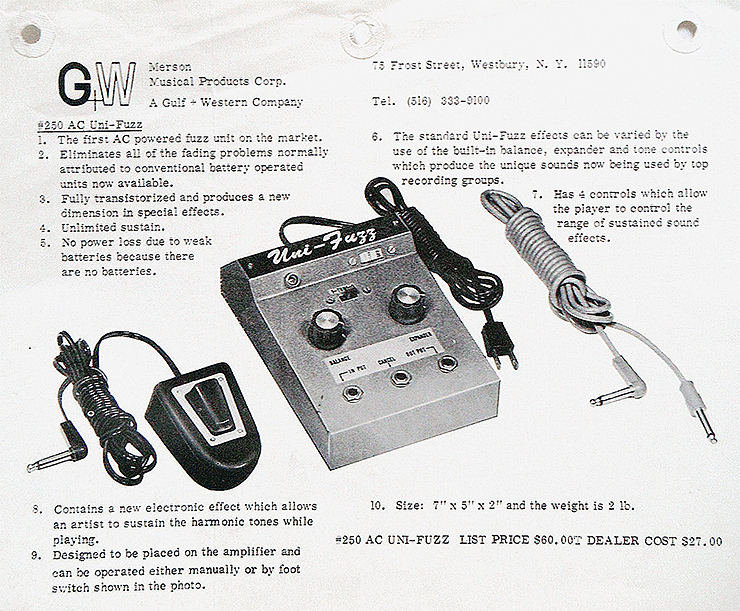 Shin-ei built effects for or licensed the fuzz circuit to scads of manufacturers, including Apollo, Shaftsbury, both Jax and Pax, Crown and Royal, Mica, Kent, Marlboro, Memphis, Bruno, Boomer, Alex, Ace Tone, Aria, Goya, Kimbara, Lord, Mica, National, Northland, Tele Star, Tempo, and probably others. Still more makers borrowed aspects of the circuitry; the Fender Blender, Ibanez Standard Fuzz, Roland Bee Baa, and likely many more share similarities. It was simply that good. The tale doesn’t end here, though. 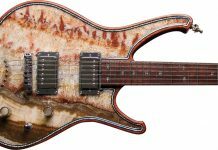 Enquiring minds may wander back to that early Honey Psychedelic Machine and wonder about the second half of the dual-purpose effect – the chorus/vibrato circuitry. Engineer Fumio Mieda understood its brilliance, too. He packaged it in its own housing, and Univox sold it as the Uni-Vibe rotary-speaker simulator. But that’s another story.